The Words of Mormon… is the seventh book in the Book of Mormon…. 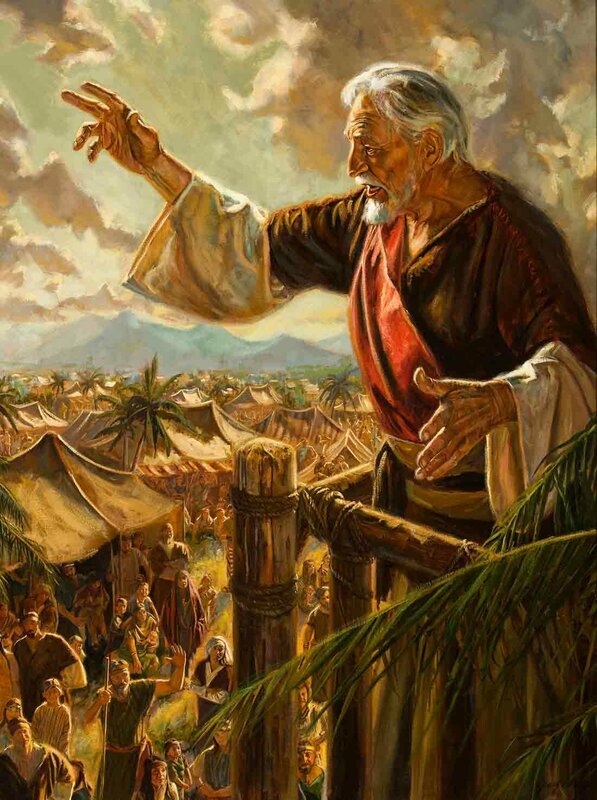 The Words of Mormon opens up by explaining that Mormon will soon deliver the plates into the hands of his son, Moroni. Mormon explains that it “…is many hundred years after the coming of Christ…” (The Words of Mormon 1:2). Finally, Mormon ends this book by explaining that there were false Christs among them and that through King Benjamin, righteousness and peace had been restored throughout the land. Jacob urges his people (and the reader) to repent; “…and come with full purpose of heart, and cleave unto God as he cleaveth unto you…” (Jacob 6:5) Jacob explains that before the power of redemption and resurrection that is in Christ, we will stand before God with guilt at the judgment day if we haven’t worked diligently enough. Jacob quotes Zenos about the allegory of the tame and wild Olive Tree. The Olive Tree in the Lord’s Vineyard is like Israel and the Gentiles, the scattering and gathering of Israel… the Gentiles will be grafted into the Olive Tree of Israel. To graft branches, healthy, living branches are cut from a tree or plant and inserted into another place. The branches in this allegory represent groups of people that the Lord takes from one place and plants them in another. In the scriptural sense, grafting means to “…come to the knowledge of the true Messiah…” (1 Nephi 10:14). In this chapter (which is super long), we learn about the Lord’s Vineyard. The chapter can be likened to Missionary Work and Rise and Fall of God’s Authority on the Earth. “And the Lord of the Vineyard caused that it should be digged about, and pruned, and nourished, saying unto his servant: It grieveth me that I should lose this tree; wherefore, that perhaps I might preserve the roots thereof that they perish not, that I might preserve them unto myself, I have done this thing. Wherefore, go thy way; watch the tree, and nourish it, according to my words. And these will I place in the nethermost parts of my vineyard, withersoever I will, it mattereth not unto thee; and I do it that I may preserve unto myself the natural branches of the tree; and also that I may lay fruit thereof against the season, unto myself; for it grieveth me that I should lose this tree and the fruit thereof.” (Jacob 5:11-13) God wants his servants to work hard, so that they will not lose one soul or “branch” of the Olive Tree. The “young and tender branches” seem to be those people who responded to the “pruning and fertilizing” by God and His prophets. They were more teachable than the old established branches, or the groups of Israelites who had to be removed and destroyed. President Joseph Fielding Smith taught: “In that parable the olive tree is the House of Israel… In its native land it began to die. So the Lord took branches like the Nephites, like the lost tribes, and like others that the Lord led off that we do not know anything about, to other parts of the earth. He planted them all over his vineyard, which is the world” (Answers to Gospel Questions, comp. Joseph Fielding Smith Jr., 5 vols. [1957–66], 4:204). Zenos’s allegory helps us understand that the scattering of branches of Israel all over the world was a blessing both to Israel and to the rest of Heavenly Father’s children, the Gentiles. Elder Bruce R. McConkie, who was a member of the Quorum of the Twelve Apostles, explained: “In general, the Lord sends to earth in the lineage of Jacob [Israel] those spirits who in pre-existence developed an especial talent for spirituality and for recognizing truth. Those born in this lineage, having the blood of Israel in their veins and finding it easy to accept the gospel, are said to have believing blood” (Mormon Doctrine, 81). As scattered Israel mixed with the Gentiles around them, the blood of Israel was spread even further. Elder James E. Faust, then a member of the Quorum of the Twelve Apostles, commented: “The scattering of Israel throughout the world sprinkled the blood that believes, so that many nations may now partake of the gospel plan” (in Conference Report, Oct. 1982, 127; or Ensign,Nov. 1982, 87–88). When Did All the Trees Become Corrupt? The part of the allegory when all the trees bear evil fruit seems to represent the period of the Apostasy, prior to the restoration of the gospel. 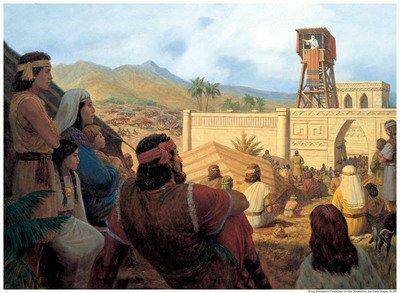 When the Lord spoke to Joseph Smith in the First Vision, He told Joseph that he should join none of the churches of that day because they were all “wrong” (Joseph Smith—History 1:19).In Jacob 5:48, we read; “…Is it not the loftiness [Pride] of thy vineyard – have not the branches thereof overcome the roots which are good? …behold they grew faster than the strength of the roots, taking strength unto themselves…” Essentially in this one verse we can see how easily churches after Christ was crucified began to pop up without any legitimate authority of power from God. However, they had some of the basic roots… but they began to lose their roots when they took strength upon themselves. The same people who claim that God won’t call another prophet, and that His word is complete the Bible.